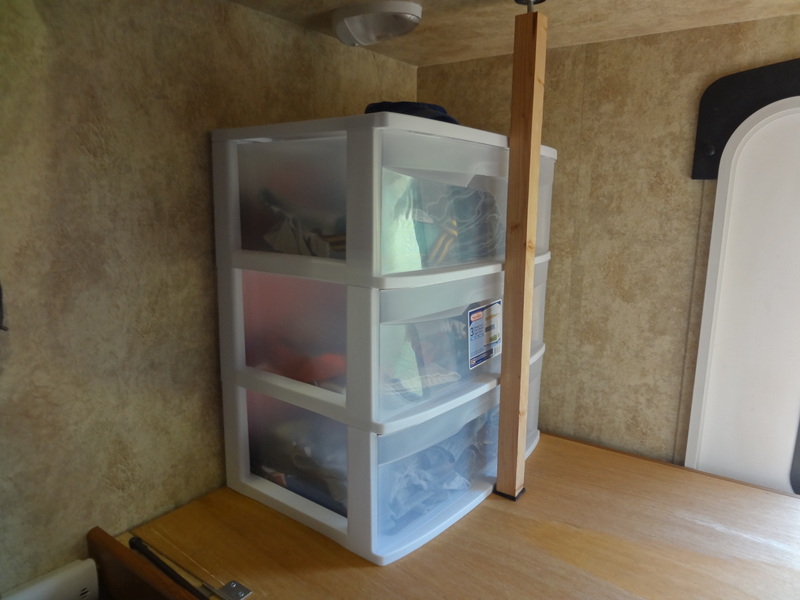 Before our trip out West in 2015, we outfitted our camper with several modifications and new storage solutions to streamline our three weeks on the road. 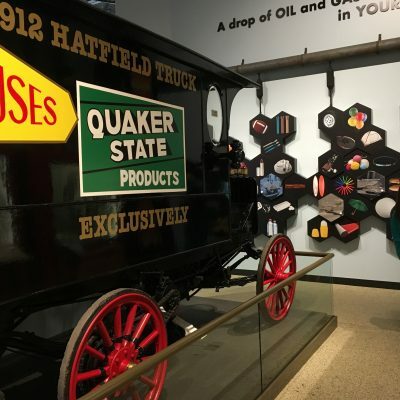 One of the updates was creating a better system for storing the kids’ clothing. 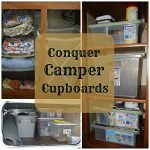 Previously we had simply packed their clothes in bins that we stored on the unused bunk, but things quickly became a disorganized mess in those bins. And it was so not working. 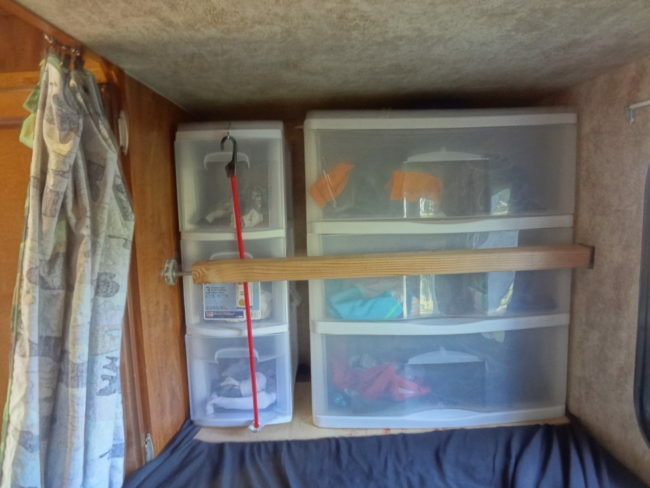 After some trial and error, I discovered that the three-drawer storage systems available at places like Wal-Mart fit perfectly on the bunks and created an organized space for the clothes. But then Jarrett was faced with the challenge of finding a way to secure the bins in place so they weren’t sliding open and shifting while we were hauling down the road. Step 1: First I measured the width of the area where I wanted the bar to go in the camper. 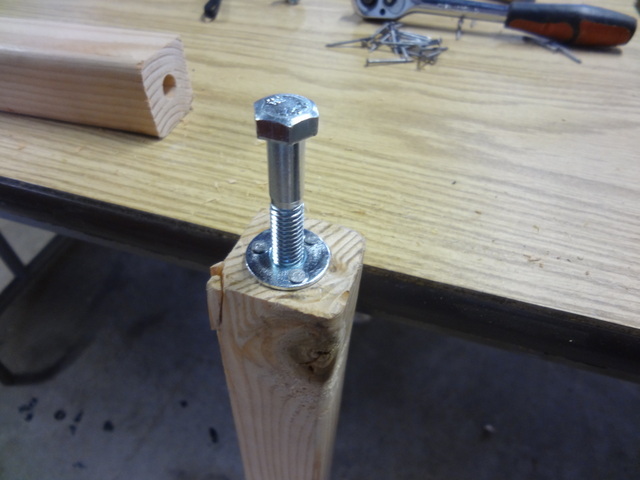 Then I subtracted 2 inches from that length (this is to account for the bolt that will be screwed into one end). 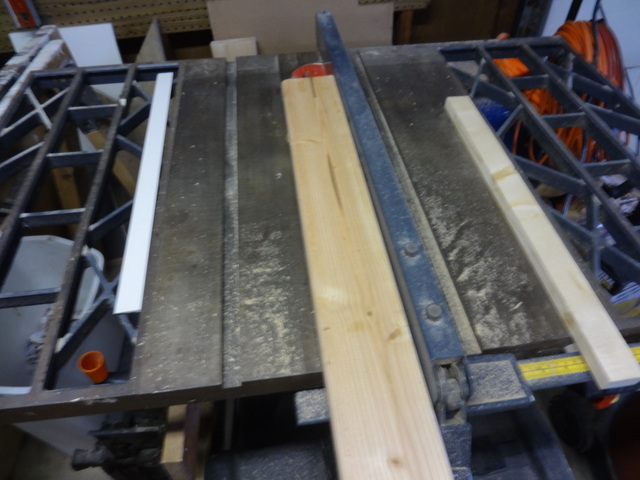 I measured that final number on the 1×3 and then cut it that length. Next I ripped the board down the middle longways so that each half was then approximately 1×1.5. 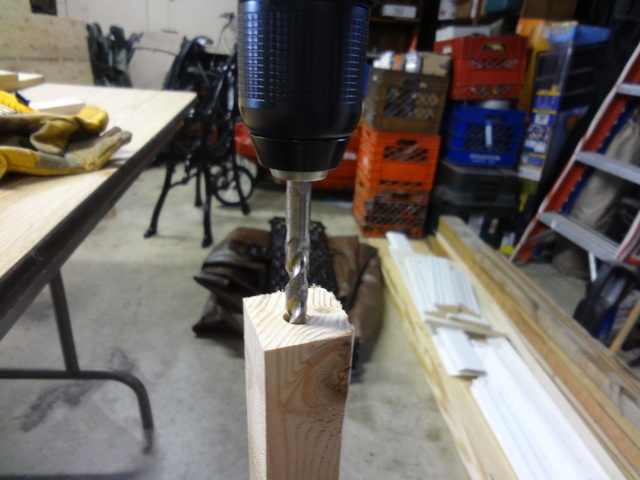 Step 2: I drilled into one end of the bar using a 1/2 drill bit that was longer than the hex bolt I was using. 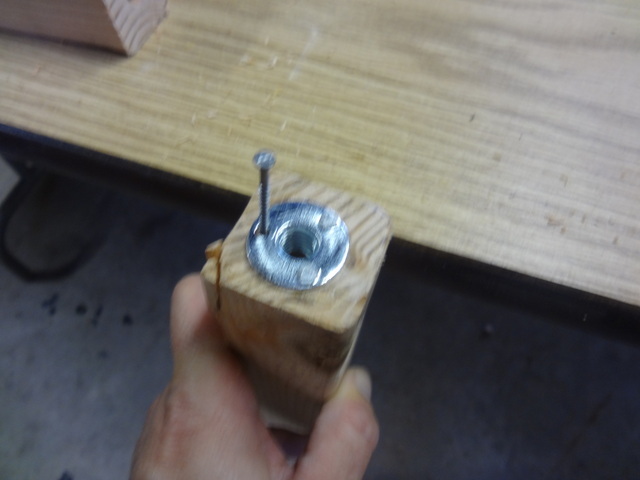 Step 3: I pounded the brad hole tee nut into the hole, and then I pre-drilled the nail holes. 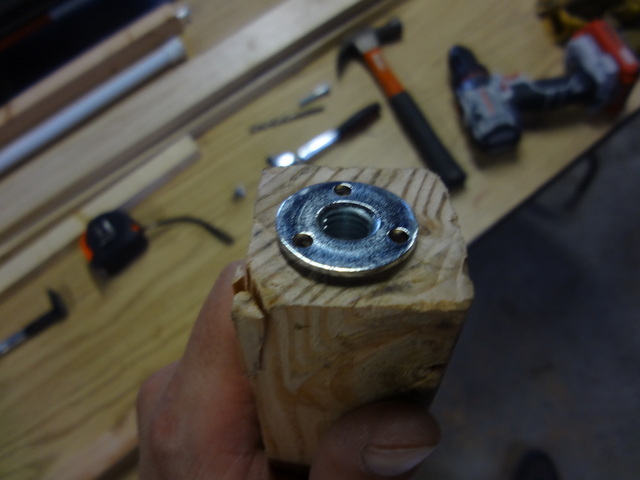 Step 5: Then I threaded the hex bolt into the brad hole tee nut until only about 2″ was sticking up. Step 6: I used some leftover rubber floor mat and cut pieces to fit the other ends of the bars. 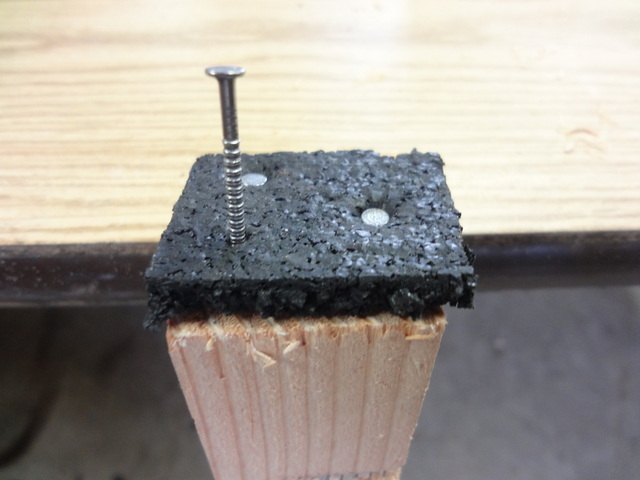 Then I used a few nails to tack the rubber to the end. 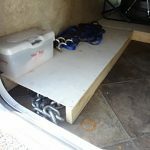 Step 7: To prevent the hex nut from damaging the camper wall I use a rubber furniture floor pad between the hex nut and the camper wall. 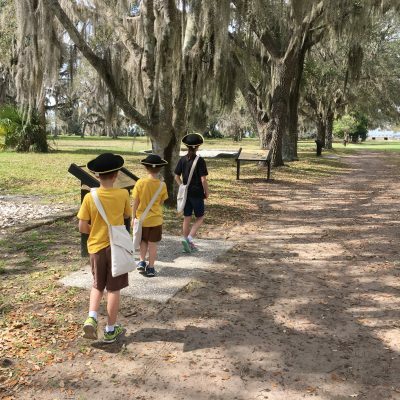 To use the bar, you can position it either vertically or horizontally. 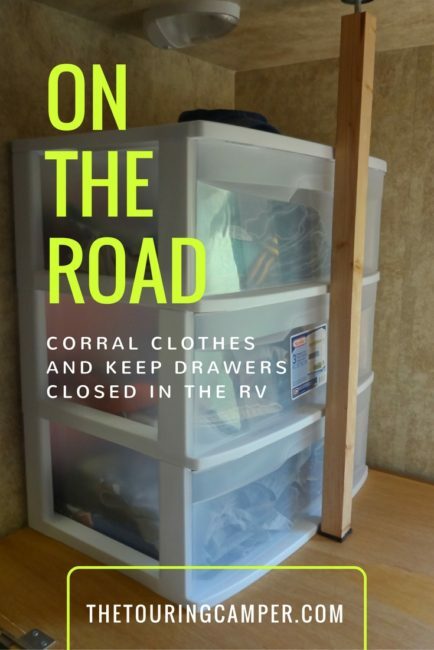 On one end of our camper bunks we have a wardrobe that creates a wall so I can position the bar over the middle drawer and then tighten the nut (by twisting it) until it is firmly in place. 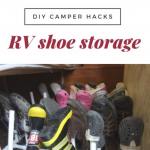 If it’s too loose, it will jiggle free (that has happened a few times), but you don’t want to put unnecessary pressure on the camper walls either. On the opposite end of the bunks we do not have that wardrobe, so I have to run the bar vertically between the ceiling and bunk floor. This actually works better because then it is covering all of the drawers. So that’s a basic tutorial of how I made the bin tension rods. These certainly aren’t fancy, but functional was my goal. 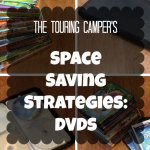 The content of TheTouringCamper.com is intended for entertainment and information use only and is not to be construed as providing professional advice. 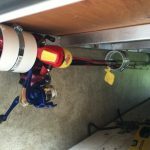 Extra precautions, additional expert input, and additional research are always advised. 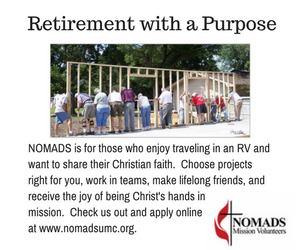 Our full disclosure policy can be found here.